If you’ve been following me on Instagram over the last week, you’d know that I was in Miami Beach / South Florida, and I made a point to hit many kosher restaurants based on your recommendations and where I have personally not eaten at on prior trips. In 7+ days I hit 16 restaurants (18 if we include the 2 kosher ice cream/yogurt shops). Nearly all restaurants include tip in the bill, typically between 15-18%. The only two not to were 26 Sushi & Tapas and Soho Asian Bar & Grill. Needless to say those both had the best service and received the biggest tips from us. Service across the board (minus the aforementioned restaurants) was generally subpar. This is a known issue in South Florida, especially for us impatient New Yorkers, but definitely an issue that can be exacerbated by the throngs of people down here for Yeshiva Week. My advice: be polite, expect to wait a bit, have patience, and slow down. You’re on vacation. What’s the rush? Plan ahead & make reservations. Normally you may not need to, but during the winter months, you definitely need to. You may even wait with reservations, but without it you’ll likely be turned away, which I saw happen at numerous places to those who didn’t plan ahead. Many of the restaurants that accept reservations, also do so online. Check out their website before calling. Will save you time and aggravation like this. Nearly every restaurant where I had tried French fries (because it came with my dish) had used frozen bagged fries, were nearly all disappointing. Only place where their fries stood out was @ Fuego in North Miami Beach. Kudos for making your own fries and throwing on coarse sea salt. Asi’s Grill — I didn’t plan on eating here, but ended up here due to circumstance. Mistake. Food wasn’t good. Service was subpar. Would not go back. They offer Friday night dinners, but they’re expensive, and I’m not interested. Bagel Time Cafe — under new ownership. Revamped menu. Great for breakfast/brunch. Service ok, could be better. Pancakes, wraps, sandwiches, and sides are all solid choices. China Beach — under new ownership (same as Bagel Time Cafe). Just tried this on my plane ride home (so it wasn’t hot right out of the kitchen). Flavors were good. Would order take out. Beyond by Shemtov — I didn’t have the pizza, but those who did said it’s just as good as it was when it was just “Shemtov’s Pizza”. I liked my breakfast wrap, but my wife didn’t like her salad. Service needs improvement. Would be willing to go back at off-peak hours. Open for all 3 meals. Capri Sushi & Italian — beautiful dairy restaurant. Service was friendly. Most of the food was good. One dish was overly saucy, but I’d go back and try again. House of Dog — this is one of those places you’ll either love or hate. The ambiance is dark, has odd seating, but also has numerous TVs playing sports games, and likely the best (most eclectic) kosher beer selection south of NYC. Their menu is a bit difficult to decipher and some of the dishes are hit or miss. The flavors on my burger were good, but some of the toppings were overcooked. I’d give them another chance, but only with guy friends. My wife did not enjoy it there. Rare Bistro — ended up here on Friday night. Their new location inside Tower 41 allows them to host hundreds of diners every Shabbat, and this weekend they had 500+ inside and out back. Getting seated was a bit hectic after davening, but once seated they do serve you a full Shabbat meal: 4+ courses — fish, soup, salad, mains, dessert, tea/coffee, etc. Whatever you need is included in the prix fixe price, which is still pricey, but here you definitely get a full Shabbat experience. Prior reservations required well in advance. 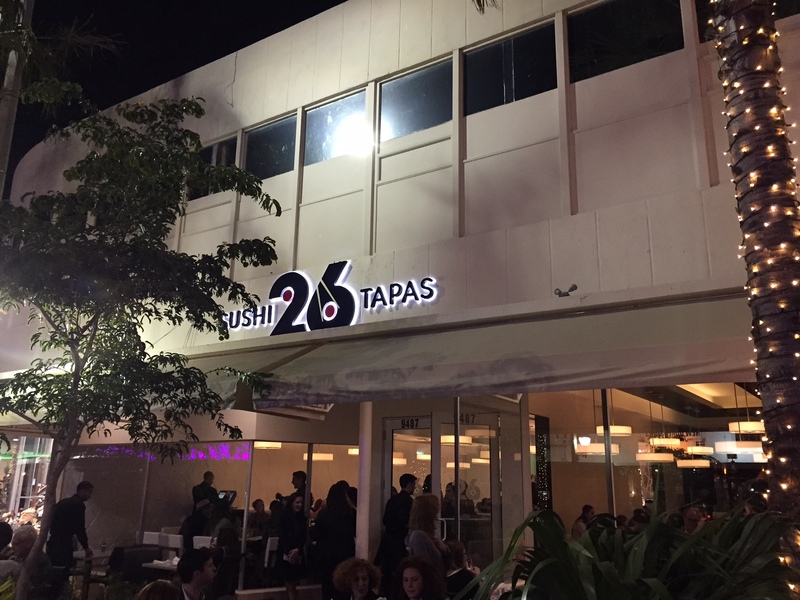 On other nights of the week, the restaurant looks a bit different and pumps out beautiful looking dishes to match its ambiance (I received a behind the scenes tour Motzei Shabbat). Grill House & 17 (in South Beach) are both restaurants I dined at back in 2011. I enjoyed both and would recommend both based on those experiences. I haven’t heard anything from others to have me think otherwise. Backyard BBQ & Brew — went on Saturday night, which in hindsight was a mistake. Majority of their in-house smoked meats weren’t available since nothing was smoked over Shabbat. Bummer. (They’re the only restaurant I know of in this area that smokes their own meat in-house). On the bright side, their burger was the best I tried when down there (I tried 4 burgers), and their baked beans were delicious. Something strange: they charge $2 extra for their dips/sauces, and I tried a couple, although I found them very liquidy and nothing special. Outside of that, the food had very good flavors and the restaurant has an inviting ambiance. Would go back. Harbour Grill — nice restaurant, often packed at night. Our lunch was good (minus the fries): the flavors on my sandwich were delicious and it was meat I don’t normally see in NYC. Would recommend and would go back to try other things. Kosh — beautiful restaurant but very high prices. Flavors on our app & mains were good, and my meat was cooked well, but portions were small. I was tempted to order their $29 burger, but the waiter didn’t seem to enthusiastic about that choice. Service could be improved. Unsure I’d go back give the other options on the block. Serendipity Yogurt Shoppe — came here after I was craving dessert after my Kosh meal. Thankfully they have both Pareve sorbets and dairy ice cream. My sorbet was delicious and my wife recommends the “cereal milk” ice cream. 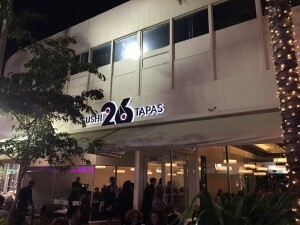 26 Sushi & Tapas — another beautiful Surfside restaurant, that while pricey, was likely the best dining experience we had in a South Florida. Our waiter was knowledgable and enthusiastic about the options on the menu. Everything we tasted was delicious, fresh, and innovative. The combination of Japanese & Latin American flavors worked really well and I’d highly recommend coming here and trying new things. Worth the money. Fresko — seemed like we needed reservations for lunch. It was packed. Good was generally good, although some dishes took 3x as long to prepare than others (and shouldn’t have). Service needs improvement, but food is tasty. Nothing really innovative here, but would go back for a breakfast or lunch meal. Fuego — even with reservations, wait times were long, but the restaurant isn’t that large. Overall, the apps we tried were quite tasty and innovative, and our mains were good/ok. Didn’t blow me away. Their fries and dips were the best we tasted on this trip. Was sad to learn that they use liquid smoke (not wood fire smoke) to flavor their meats. Either way, I’d go back to try other things. Mozart Cafe — great place for breakfast / brunch / lunch. Lots of seating inside and out. My eggs were delicious and prepared totally differently than I’m used to. Bread was good too. Service was helpful. Would go back. Soho Asian Bar & Grill — this huge restaurant was packed at night, playing sports games on their huge TVs on the wall. The waiter service was amazingly attentive, friendly, and took care of all of us at the table. The food we tried wasn’t always Asian (lots of Middle Eastern flavors here) but was surprisingly innovative and delicious. The apps, sushi, and Chinese main dishes were all good. The waffle dessert comes well recommended by others and looked amazing (we were too full to try it). Definitely recommend going. Hopefully this has been a helpful guide. Would love to hear about your experiences at these and other south Florida restaurants. Hit up the comments below with your feedback.